The film was rated by 4 visitors with the rating 0,59 (For the rating of the movies we used the Bayesian algorithm, which is also used by the Internet Movie Database). I hope to make films that connects with everyone. It does not matter if it's a comedy flick or a thriller, my aim is to use my story telling ability to reach people in their deepest emotions. 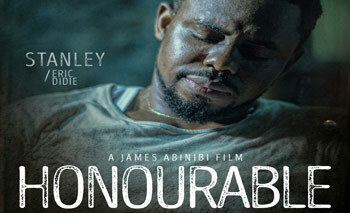 Abinibi is a budding film maker with a passion to tell the African Story in unique ways. Born and raised in Lagos, he is a renown name in the digital creative sphere in Nigeria.